The IRS has issued a reminder to all professional tax preparers that Preparer Tax Identification Number or PTIN is due for renewal. PTINs expire at the end of the year and must be renewed in what has been an annual process. 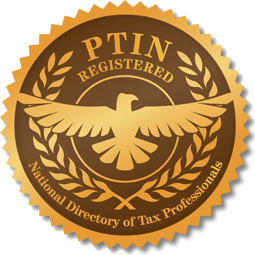 If you get paid to prepare or assist in income tax return preparation or claims for refund you must have a PTIN. PTINs cannot be shared among people and businesses employing various tax preparers have to ensure each one of them has the individual number. One of the exceptions is for individuals who prepare their employers federal tax returns. In those instances an individual is not required to have a PTIN. Most of the useful information about PTINs can be found at https://rpr.irs.gov/datamart/login.do providing options to create an account, retrieve a lost password, apply for a PTIN, or resolve any potential issues you may encounter. How to renew a PTIN? Log in to your account: https://rpr.irs.gov/datamart/login.do and select PTIN Renewal option then follow the prompts. If you don’t have an account, refer to the New User portion of the website mentioned in the previous point. This section is for those who are applying for PTIN for the first time. If you had been issued a PTIN in the past, you have to log in to your account to renew. There is help if you can’t remember the password or email used when you first applied for the number. What’s the difference between PTIN and EFIN? The main difference between PTIN and Electronic Filing Identification Number or EFIN is the recipient. PTINs are issued to individuals who prepare tax return for profit while EFINs are issued to individuals or firms that e-file tax returns. To e-file tax returns a company has to be approved by the IRS to do that. Now that more tax returns are submitted electronically most preparers have PTIN and EFIN. It is possible to have PTIN and not have EFIN and vice versa. Tax preparers can choose to mail the returns and would not be required to have an EFIN. E-file providers who only transmit the tax returns but do not participate in their preparation would only be required to get EFIN and not need PTIN. Is there a cost to get a new PTIN or renew? Yes. Although it is not very expensive, it’s not free. Getting a new PTIN will cost you $64.25 and an annual renewal is $63.00. There is no cost to get EFIN authorization.